Part of the Byzantine Collection, this menorah has a regal look to it. 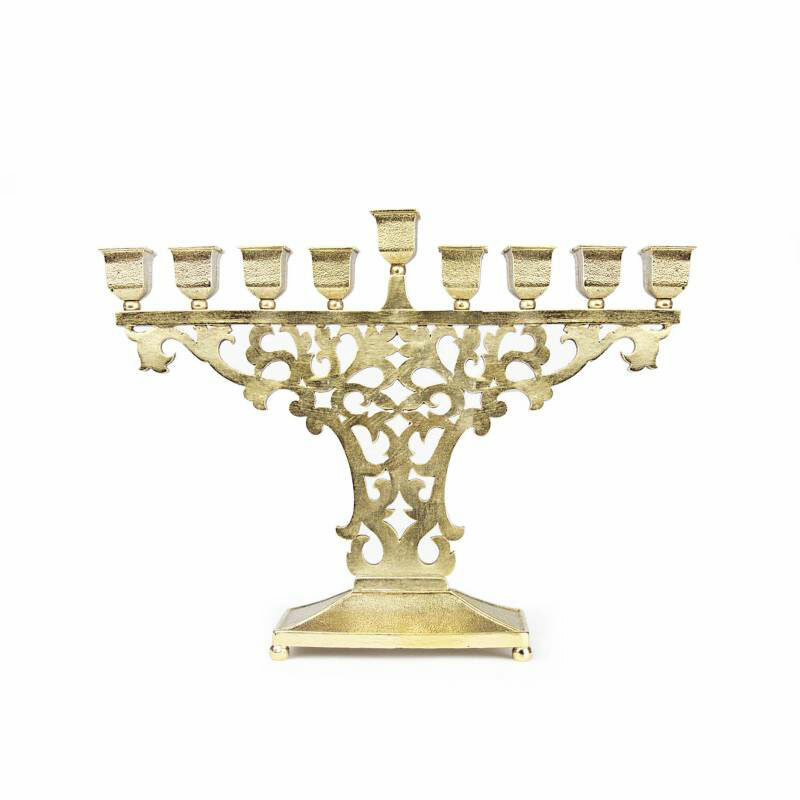 Supported on a rectangular base, the menorah has a filigree-like design with elevated, square candle holders. Pewter based, it is plated in gold to make it shine in the candles' light. Dimensions: H 6.50" W 9"